Ajay Devgn lives it up in new party track from : Total Dhamaal. 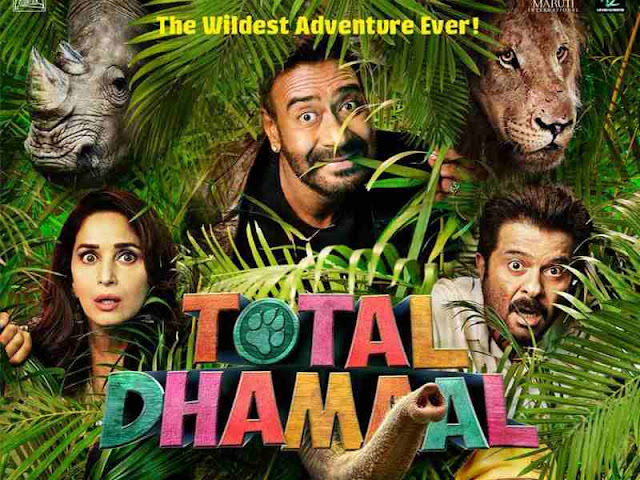 HomeAjay Devgn Anil KapoorAjay Devgn lives it up in new party track from : Total Dhamaal. Director Indra Kumar’s adventure comedy, Total Dhamaal, features two recreated songs, but now, the makers of the madcap comedy are releasing their first original song and the third track from the album, titled Speaker Phat Jaaye. The number, which will have a digital launch today, features Ajay Devgn, Anil Kapoor, Madhuri Dixit, Riteish Deshmukh, Jaaved Jaafferi, Arshad Warsi, Sanjay Mishra, Esha Gupta and Pitobash. Talking about this zany track, Indra Kumar says, This is the original song that we’ve created for the Total Dhamaal soundtrack. We have already received a lot of appreciation for our new renditions of ‘Paisa Yeh Paisa’ and ‘Mungda’, and this is our new offering, especially for the younger audience. The song will feature the entire ensemble cast, which is 10 to 12 actors and the audiences will also see animals dancing in this number. When the music composers Gourov-Roshin made me hear the song, I instantly liked it and felt it had the potential to become a huge party hit. This track has the perfect musical package. The third installment to the popular Dhamaal franchise is all set to take the audience into a never seen before comedy adventure as what the posters of the movie suggest. The makers of the film ‘Total Dhamaal’ has been releasing official posters from the film and today the third poster of the film was released. Bit intriguing but promising a fun adventure, the lead cast of the film seems lost inside a jungle in the latest poster. The new poster has the actors surrounded by wild animals in it. One can make out from the expressions on their faces that they are bit lost inside the jungle. Wild animals like Lion, Tiger, Elephant, and Rhinoceroses can be seen.